Tickets must be obtained in advance. Please bring a plate of food to share for a finger buffet. There is a licenced bar - Please do not bring your own drinks. To request tickets click here. Click here. to see a poster with full details. Click here to open the crib sheet for the dance in .pdf format. Click here to open the crib sheet for the dance in .doc format. 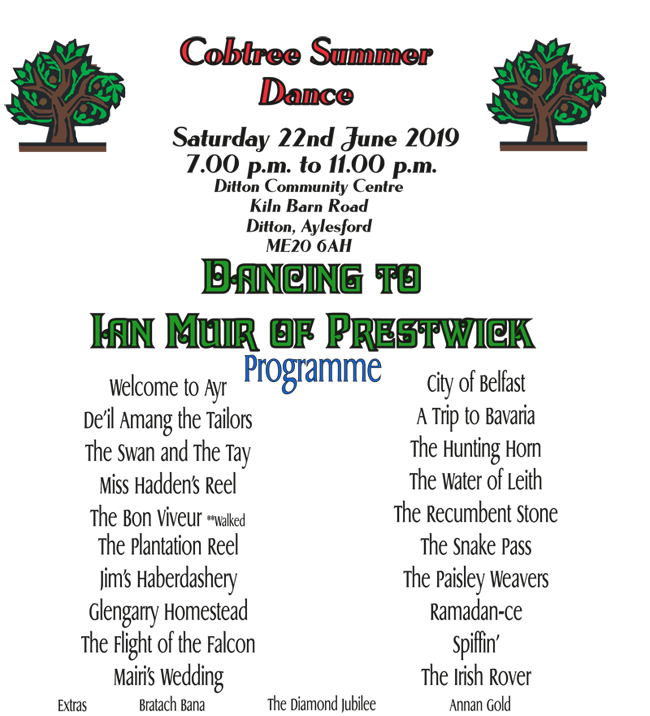 More details for these dances will appear here nearer the dates. To see details of other events involving the club and its members click here.